A beautifully graceful tree that is sometimes know as 'Lady of the Woods'. The Silver Birch is native to both UK and Ireland and is a mecca for wildlife. It makes a medium size tree that is quick growing in its early years before maturing to a conical shape with a semi-weeping habit. Diamond shaped leaves provide beautiful dappled shade during summer months before turning yellow in autumn. Attractive white bark with horizontal lines and diamond shaped cracks that develop as the tree matures. 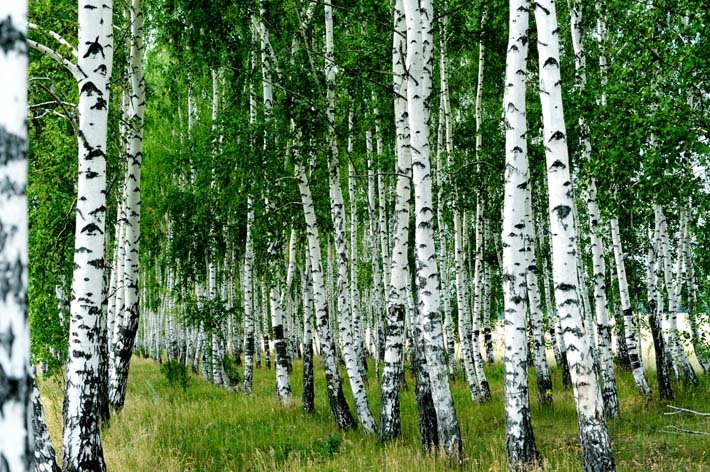 Easy to grow, performing well on most soils except extremely compacted ground, the Silver Birch looks fantastic in woodland or modern minimalistic gardens.